ArtHouse 43 presents Phasing Moments, an art show created by Troy Ramos and Chris Ramos! This show features artworks using three mediums: video, sound and paintings. 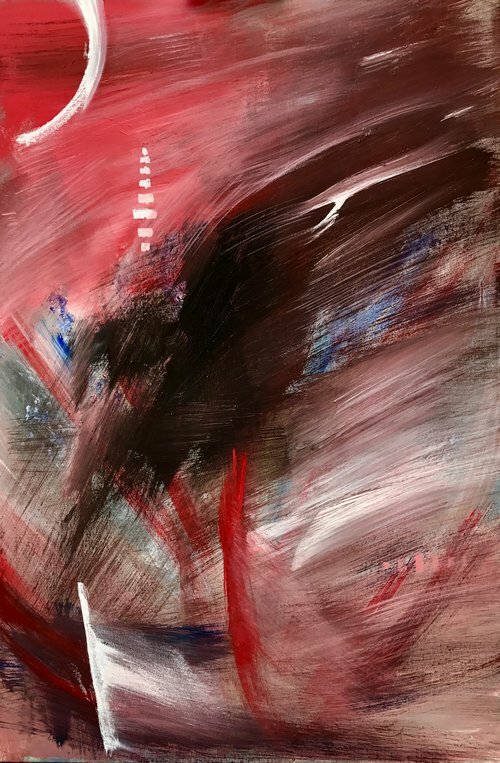 These works were created using the naturalism approach (a term coined by Troy Ramos), which is a momentary-form where works are created in as short amount of time as possible, so as to capture the state of mind at a particular point in time and space. There are 9 total works: three paintings, three videos and three sound works. These works also have an interesting collaborative, twist, however. The art works were created in the spirit of the works created before them. Using video, sound and painting, the artists took an idea, started with one medium and then passed this idea back and forth, using the previous works as a starting point to create a new work. This process was then repeated every time, with each work of art being connected to all of the previous works in some way. Each stage of this metamorphosis produced an artwork formed by both the medium and its place in the process itself. The results of this process are what make up the art works in Phasing Moments. It is simply an art show that focuses on both process and the transformation of ideas which were passed through different phases, the result of each phase producing its own unique result and compiling an interesting collection of works overall. This show is made possible through a generous grant by The Battle Creek Community Foundation. 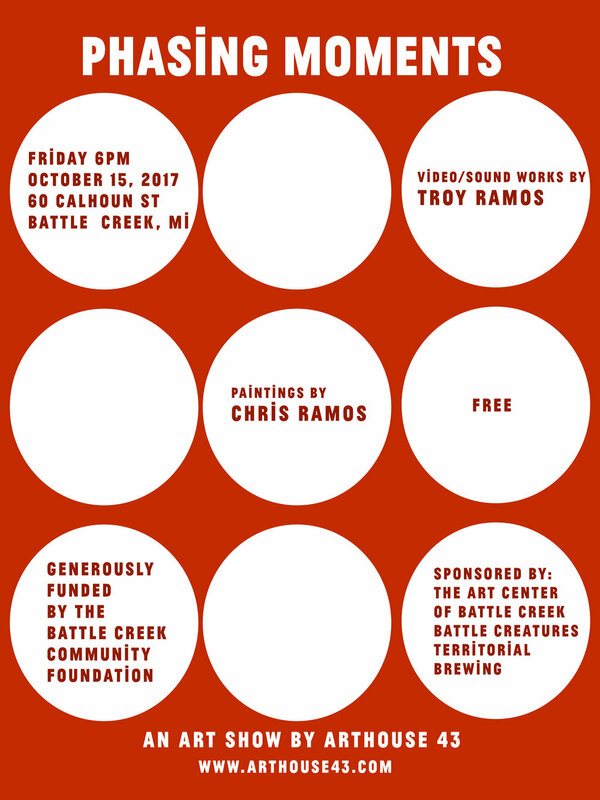 This project is also sponsored by the Art Center of Battle Creek and Battle Creatures, LLC.